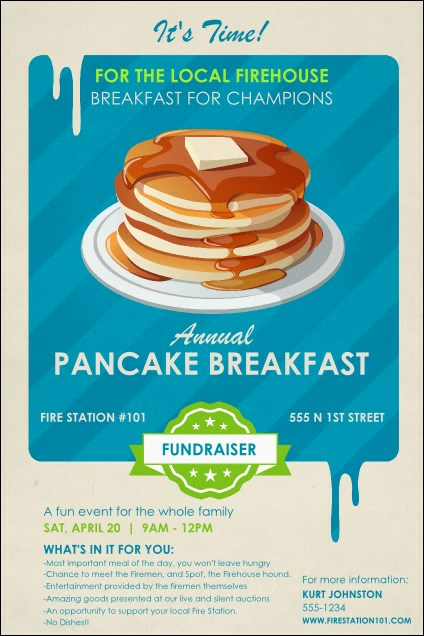 When it's time to get the word out about your community fundraiser, post the Pancake Breakfast Poster in advance. This charming design features a yummy stack of pancakes, with syrup oozing off the side. The background colors drip down the poster towards the columns of information about your event. Fill in the easy template below to start! Get your event noticed with the right poster from TicketPrinting.com.